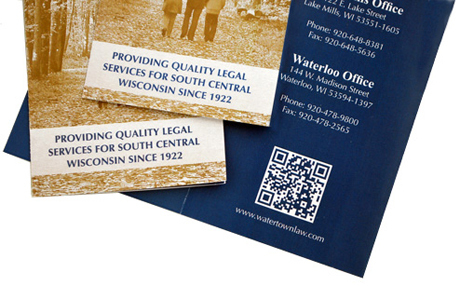 When my client and I planned this brochure, one of our points of discussion was whether or not to use a QR code. QR (Quick Response) codes are those white squares of digital design that when scanned with a smart phone miraculously takes users to any number of data types. You see them everywhere, but it’s debatable whether people are really using them. Actually the codes are pretty fascinating. They hold a huge amount of data—the detail of the design is determined by the amount of data—and they can be used to direct people to things like phone numbers, email messages, maps and locations, websites, YouTube videos, and so much more. Best of all, they’re easy and free to make with apps like QR Stuff or MyQR. 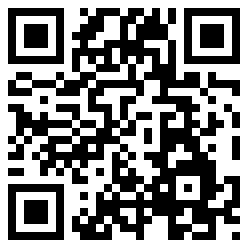 So, even though some speculators like this Mashable.com writer feel QR codes won’t last, we decided to go ahead with it. Here’s why. My client, an attorney with Neuberger, Wakeman, Lorenz, Griggs & Sweet, wanted a brochure that would bring a personal touch to to their law firm. She also pointed out the legal industry is sometimes slow to adapt the latest technological trends. True, a QR code is far from personal. And maybe people won’t even use it. But in this case, it represents a helpful service the law firm offers their clients—an easier, up-to-date way of accessing information. It also reinforces the message that Neuberger, Wakeman, Lorenz, Griggs and Sweet is prevalent both in technology and in law. This QR code is working, even if not the way it was originally intended to.